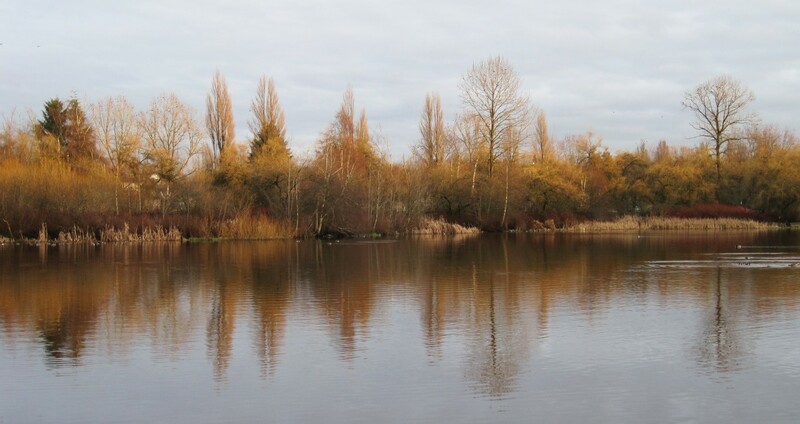 Trout Lake, Vancouver. Winter’s bare branches turn gold in the day’s ebbing light. If you click on the image for a larger version, you can see lots of little black specks in the tall tree tops and a few in the sky. The crows are taking a little rest, on their way to their rookery in Burnaby. Every day, thousands of crows migrate to and from Vancouver, at sunrise and sunset.